3v3 plus 1 floater in a 15 by 15 area, divided into 4 equal grids. 8 passes is a goal. Coach serves ball in every time play goes dead. players must pass into a different grid. Movements to receive, from players and floater especially. reaction to turnover- how will we defend the overload? 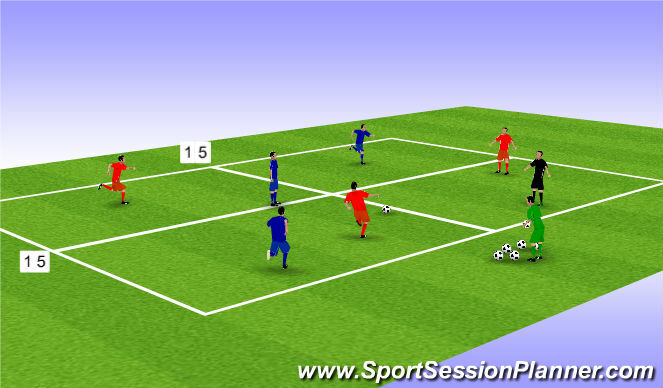 Simple passes- remember the objective of 8 passes=goal.